Don’t ever let this adorable unassuming Dachshund fool you. They may look clumsy with their stubby legs and long torsos, but they are very tough, agile and strong dogs. You may think their diminutive stature makes them cute rather than scary, but the breed actually started as badger hunters. Their name literally translates to “Badger Dog” (dachs means badger, and hund means dog). In their history, they have even been known to hunt also rabbits and foxes. In spite of their hunter origins, they actually make excellent family companions. Their training as hunters gives them the discipline to make very good show dogs. There are three major types of dachshunds: shorthaired, wirehaired, and longhaired. You may be most familiar with the shorthaired ones with their smooth, glossy hair. A standard dachshund weighs between 16 and 32 pounds. The miniature ones, which are common in the U.S., weigh around 11 pounds or less. Dachshunds that weigh between 11 to 16 pounds are endearingly called tweenies. Dachshunds, in general, are independent but playful dogs. They can be tricky and mischievous at times. Always be firm and consistent with how you relate to them and be very patient as well. Probably due to their independent nature, they are notorious for being stubborn, bordering on difficult at times. It may take some time and effort when housebreaking them. Dachshunds are a bit of a diva. They love the sound of their voices. New owners are often surprised to hear such loud and deep barking sounds coming from such a very small dog, but you get used to it. 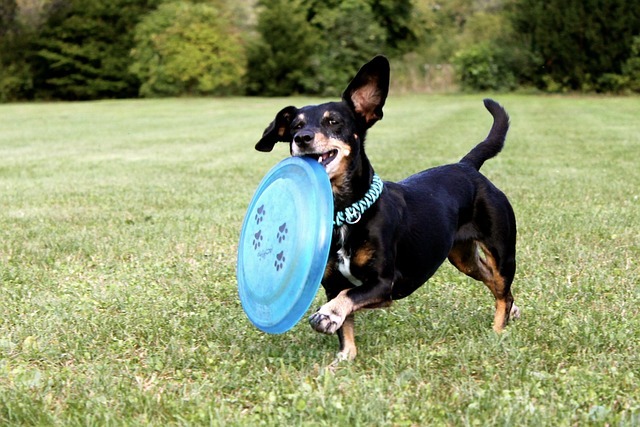 Most owners prefer it to the high-pitched yips usually associated with small dogs. Dachshunds are made for vigorous activities so they eat a lot. If you don’t exercise them regularly, feed them too much, or feed them the wrong kind of food, they can easily pile on the pounds. This could make it more difficult for them to move and lead to laziness and even more pounds. Make sure to check their weight regularly, regulate their food intake and give them enough exercise. Because of their unconventional size and shape, they are prone to acquiring slipped disks on their back. This could hamper their mobility and even lead to partial complete paralysis. Avoid having them jump from high places and always support their back when carrying them. Dachshunds are prone to certain serious health issues with scary sounding names, including Intervertebral Disc Disease (IVDD), Gastric Dilatation-Volvulus (GDV), Canine Diabetes Mellitus (DM), and epilepsy. It is important to read up on these diseases so you can prevent them and recognize the symptoms. If your dachshund displays any of these symptoms, consult your vet immediately. They are naturally suspicious of strangers, which makes them good guard dogs. If you want them to go to dog parks and not get into fights, make sure to socialize them at an early age. They are very loyal and brave companions and will try and protect their family at all cost. This also makes them excellent guard dogs. One fact that almost everyone will agree on is that they are one of the cutest and most adorable breeds of dogs. They are so endearing that they have been given many nicknames including hot dog, sausage dog, and wiener dog. Their lovable nature has made them one of the most popular dog breeds on the planet.